PETCHABUN: Thailand is preparing to propose that Sri Thep Historical Park in Phetchabun become a World Heritage Site, following the footsteps of the 700-year-old city of Sukhothai and Ban Chiang archaeological site in Udon Thani. 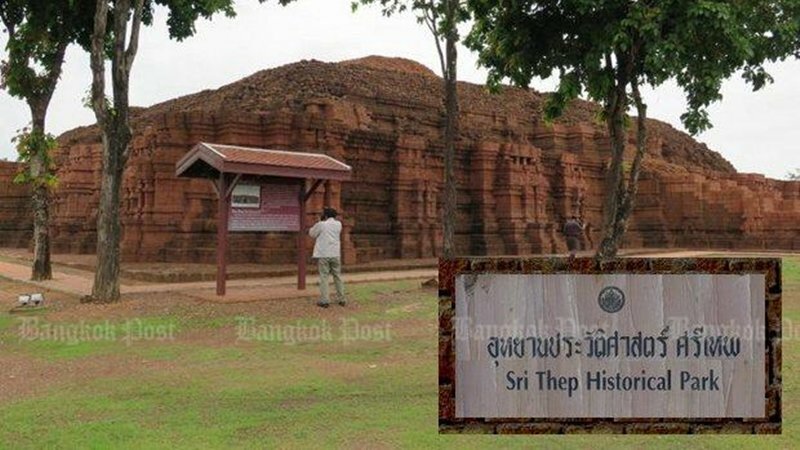 According to Culture Minister Vira Rojpojchanarat, because Sri Thep also dates back some 2,500 years like Ban Chiang, its archaeological value warrants its listing as a World Heritage Site by the United Nations Educational, Scientific and Cultural Organisation (Unesco). Officials are gathering more information to be submitted to Unesco in January next year, after the proposal to list Sri Thep has been approved by the National Committee on the World Heritage Convention and the cabinet, said Mr Vira during his site visit yesterday (Sept 17). Located in Phetchabun’s Sri Thep district, the ancient city was founded in an area that made it an essential ‘point of contact’ with other regions. As a result, Sri Thep was influenced by the art and culture of great ancient kingdoms like the Dvaravati kingdom and Khmer empire, which is world-renowned for Angkor Wat, the Hindu temple complex in Cambodia. Sri Thep craftsmen benefited from these influences and went on to develop their own unique form of art, influenced by both Hindu and Buddhist cultures. Phetchabun is the venue for a mobile cabinet meeting today (Sept 18), chaired by Prime Minister Prayut Chan-o-cha. Before the meeting, Mr Vira plans to take the opportunity to visit various cultural areas in the province and engage local officials in discussions on how to increase Sri Thep’s popularity. Previously, Thailand had asked Unesco to consider listing Phu Phrabat Historical Park in Udon Thani as a World Heritage Site. The UN’s cultural arm listed the ancient city of Sukhothai in 1991 – Thailand’s first kingdom that emerged between the 13th and 14th centuries – as a World Heritage Site. In 1992, Ban Chiang was listed as a World Heritage Site as it is considered as the most important prehistoric settlement in Southeast Asia.